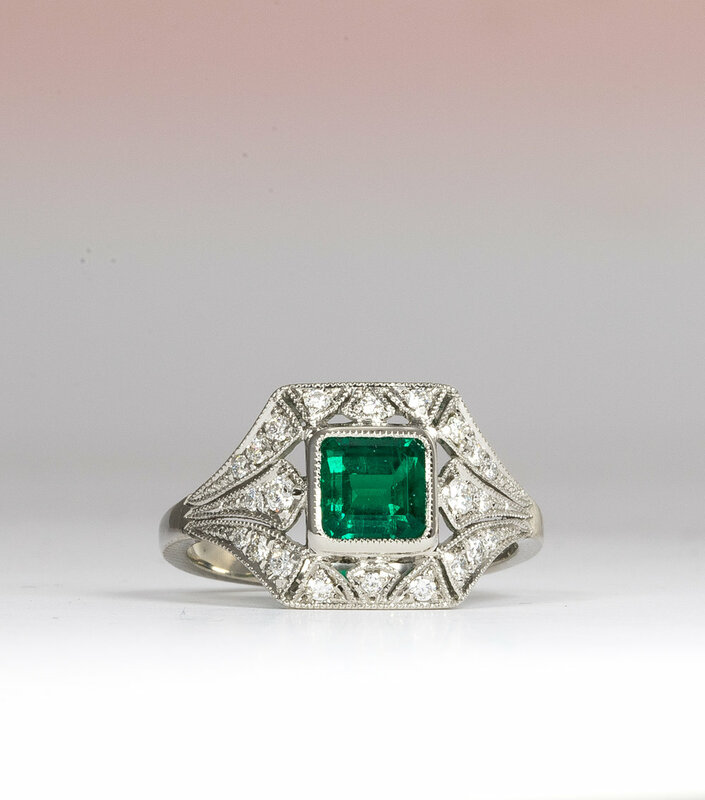 Fine quality emerald set 1920’s style cluster ring. 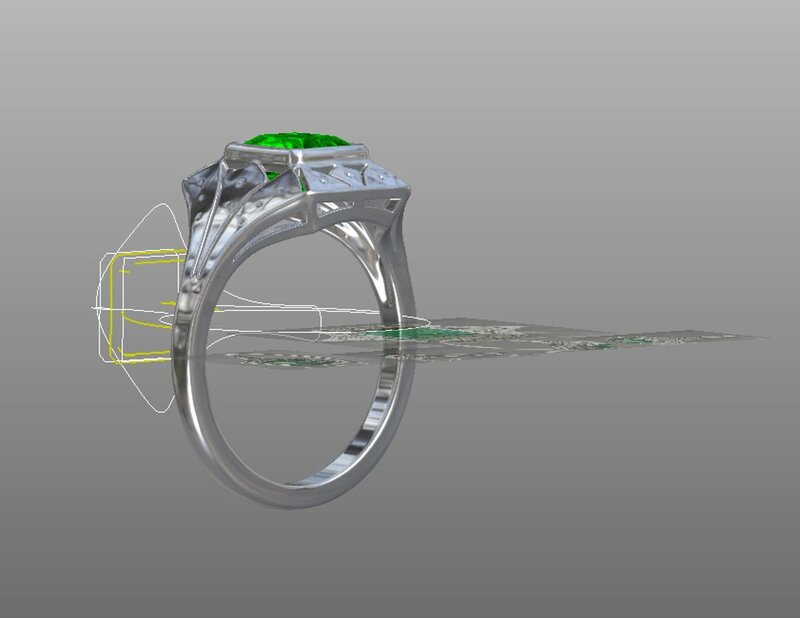 Our client had found the image of an antique emerald ring online that she liked the look of but wanted a deeper green, more lustrous emerald. After searching and finding the perfect stone, we designed the new platinum ring with a heavier shank and a slightly more robust head. We did this to cope with the more active, busy life of our customer but still managed to maintain the delicacy of design that jewellery from this period had. Copy of ...and a little green felt pen helps too! Copy of Which one to choose? Copy of This one looks good!